Cossacks is a RTS game made by the Ukrainian developer GSC Game World. It was released on April 24, 2001. The game has an isometric view and is set in the 17th and 18th centuries of Europe. It features sixteen playable nations each with its own architectural styles, technologies and units. Cossacks is a game which allows the user to gain strategy skills and even pick up some relative history of that period by the inclusion of a comprehensive encyclopedia. This top selling title has won two awards and was positively favored by a majority of reviewers. 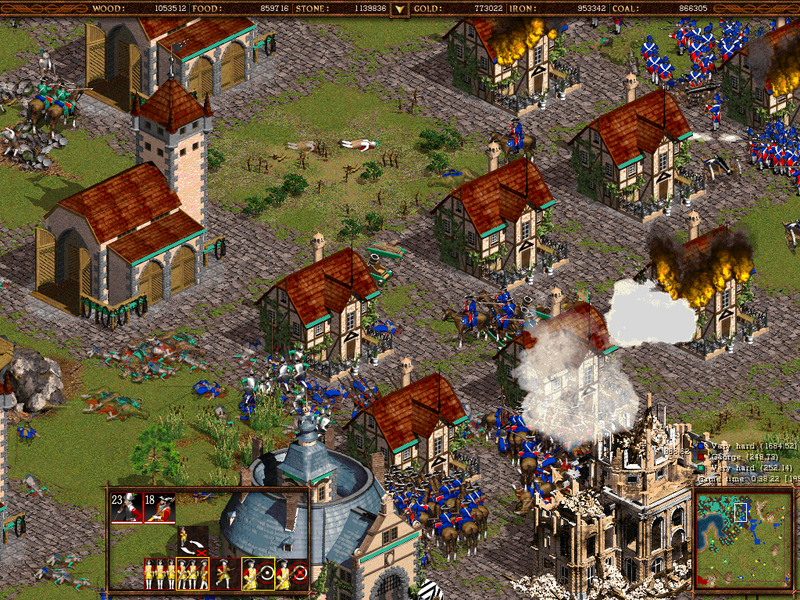 Starting with just 15 peasants, the player builds a civilization, collects natural resources and develops an army with which to invade other players/the computer. The AI in the game is quite weak, but still manages to keep me on my toes. I prefer to play long games, allowing several hours peace time in order to build up a strong base. I only have one screenshot taken for this game, originally to prove that I could make it work (with some DLL modding) under Wine.